Fanney Khan is directed by Atul Manjrekar, a protegee of Rakesh OmprakahMehra who is also one of the producers of the film. The movie is an official remake of a Belgium film called Everybody’s Famous of 2001. Apparently, the original is an academy winner. Does this remake live upto that? Well, only the names in the starcast live upto but not the film. Supposedly, this is a musical comedy but there is neither soulful music nor comedy that tickles the ribs. 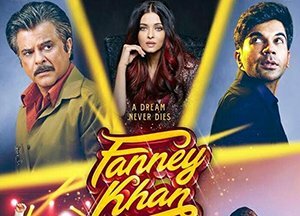 Fanney Khan is majorly the story about Prashant Kumar who is a taxi-driver but with a failed dream of becoming a singer. His idols are Shammi Kapoor and Mohd Rafi. He is talented, but destiny couldn’t help him. He has a teenage daughter (Pihu Sand, a new comer), and he rubs his dream against her. In fact, naming her after Lata Mangeshkar, he makes her practice music to see her one day on the stage as a star. All these when he making the odds meet. Divya Dutta (a regular in Rakesh Mehras films) plays his wife who is a kinda pacifier when the girl’s constant anger comes alive with her father. In another world, Aishwarya Rai plays the role of a star pop singer Baby Singh. Prashant ends up kidnapping her a s a plot to make his daughter famous, who is usually mocked on stage for her over-weight. Baby Singh has a crooked manager who has his own goals. Prashant also has a friend in Adhir played by Raj KumarRao. What happens at the end to Prashant’s dreams amidst all the chaos is what Fanney Khan all about. The movie no doubthas an interesting premise, and of course probably made the original click. However, purely taking the premise but having a matching execution doesn’t help. Fanney Khan does have lot of interesting story on paper, but when it comes to the screen, the layers are incohesive. All the time you see the screenplay trying to be desperate to be musical and funny, but none of them happen. The film tries to take off every time, sometimes it succeeds but never really lands. The movie does try to show the grey aspects in the entertainment industry which is on one the good things about the film. The writers couldn’t succeed, and they must take the first credit for the failure of the film. Especially, the father daughter scenes which are so crucial just don’t work. Despite casting suitable faces, the characters lack strength. Anil Kapoor stands the tallest trying his best to make the film work. 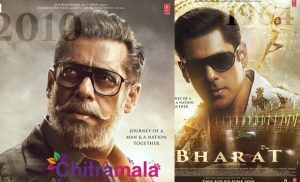 Raj Kumar Rao, Aishwarya, Girsih Kulkarni and all the supporting actors do well but in vain. Another culprit is the music. Amit Trivedi completely disappoints with his album except for te Ache Din. Music being such a vital component in the film, fails to do the minimum job, helping considerably in the downfall of the film. 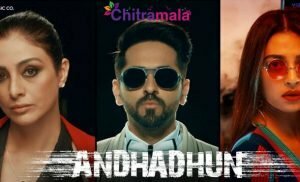 All in allFanney Khan is only gloss and a lost opportunity despite having a capable starcast.